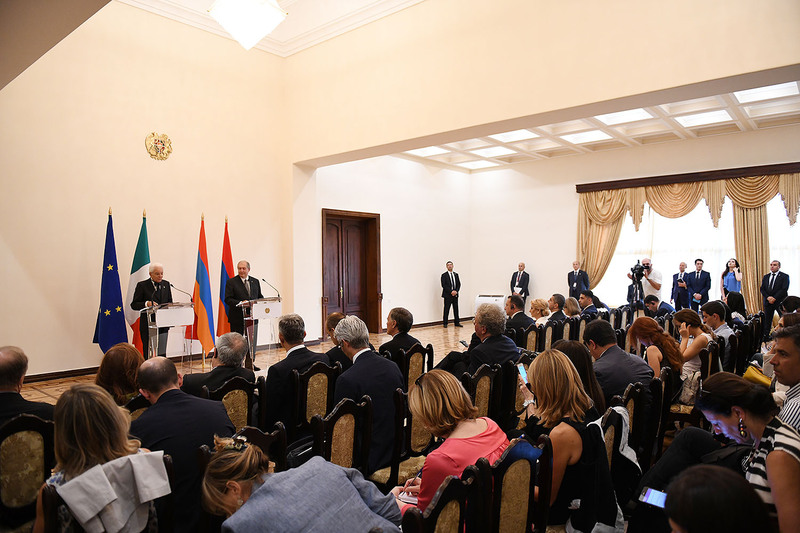 President of Armenia Armen Sarkissian and President of Italy Sergio Mattarella recapped the results of the meetings with the statements for the representatives of the mass media. 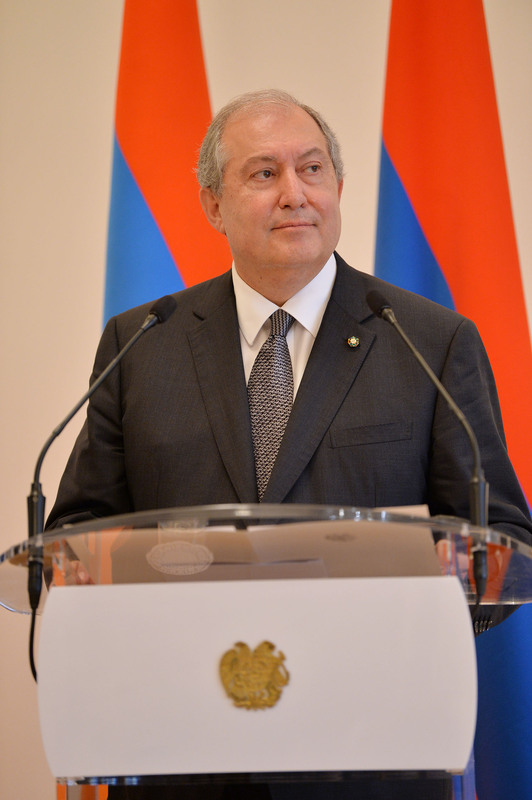 I once again cordially welcome you to Yerevan, to the Republic of Armenia. 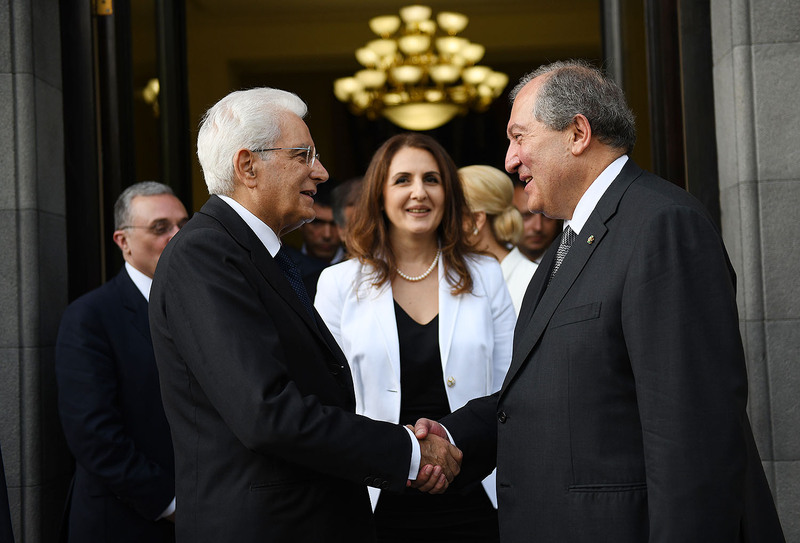 I would like to note with satisfaction that the conversation with President Mattarella was conducted in a warm atmosphere. 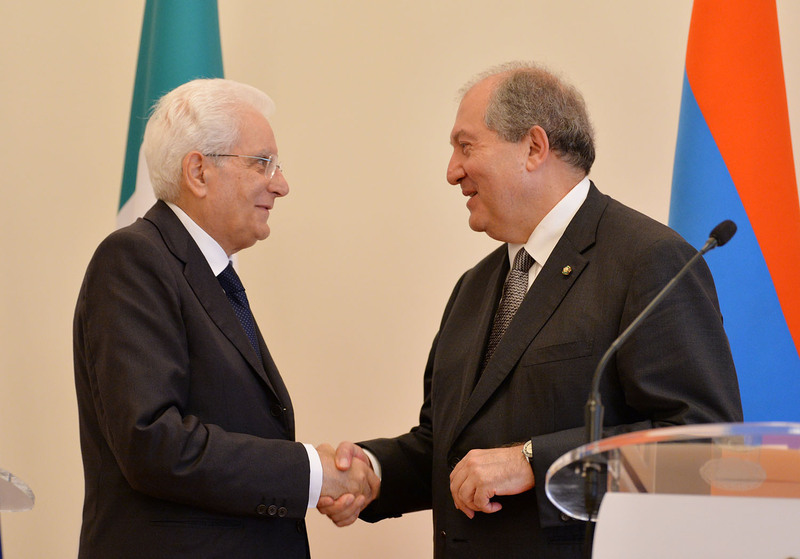 We have had a substantial discussion over a wide range of the Armenian-Italian cooperation. We have reiterated our commitment to strengthen the interstate relations. 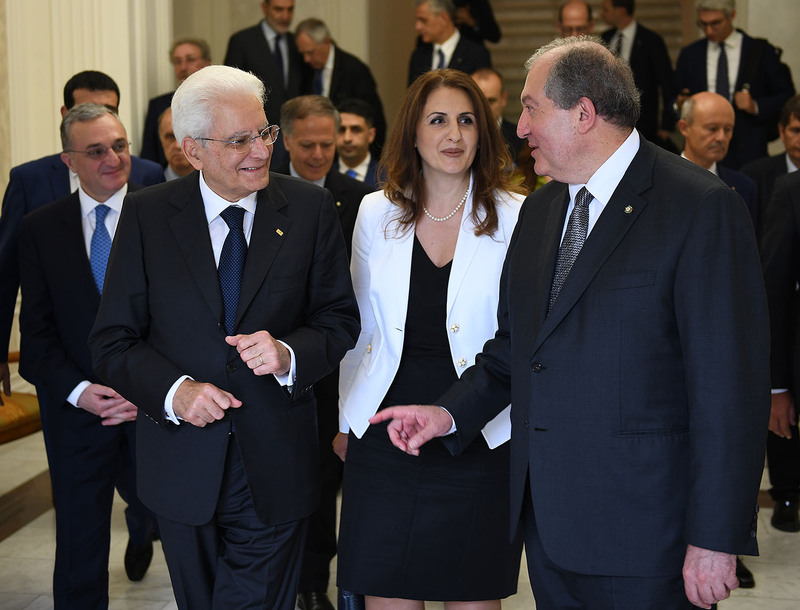 We have also agreed that extra efforts should be made to give an impetus to the Armenian-Italian cooperation in the bilateral format as well as at the international fora, including in the framework of Armenia-European Union partnership. 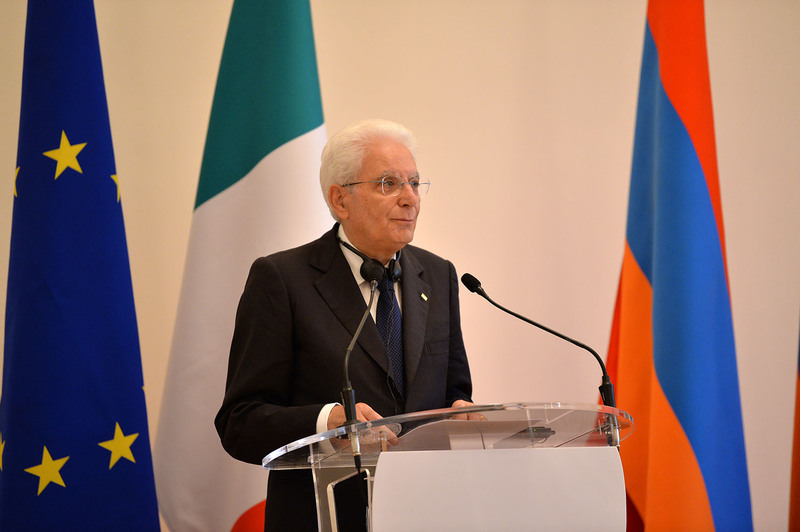 We have registered that Italy, as the country presiding at the OSCE this year, will continue to support the only international format for the resolution of the Nagorno Karabakh issue – the Co-Chairmanship of the OSCE Minsk Group. 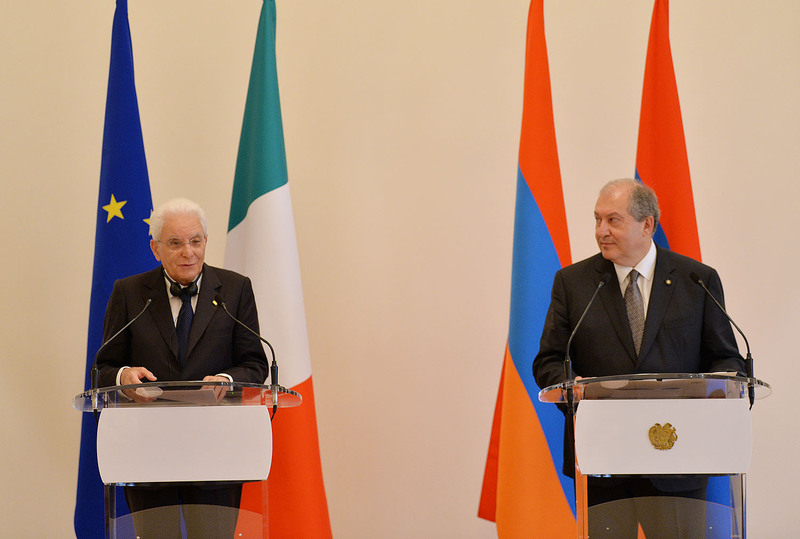 We have also spoken about the Armenia-EU partnership. 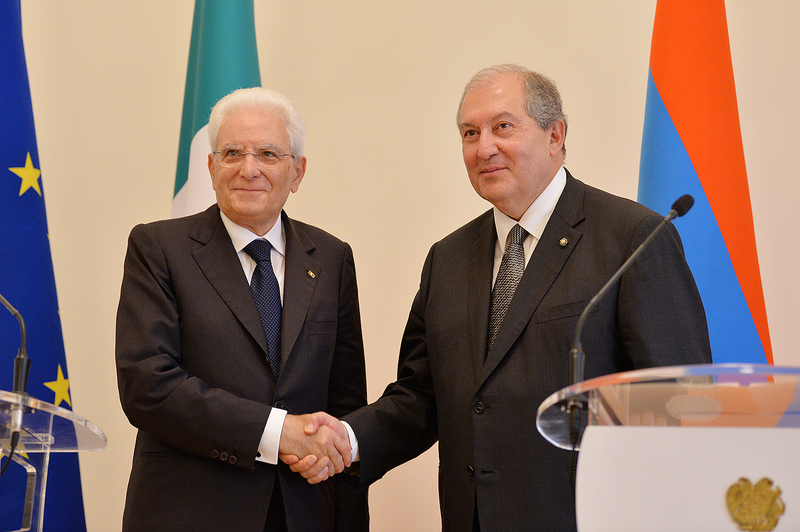 This is another direction on which the Armenian-Italian relations have great potential for development. 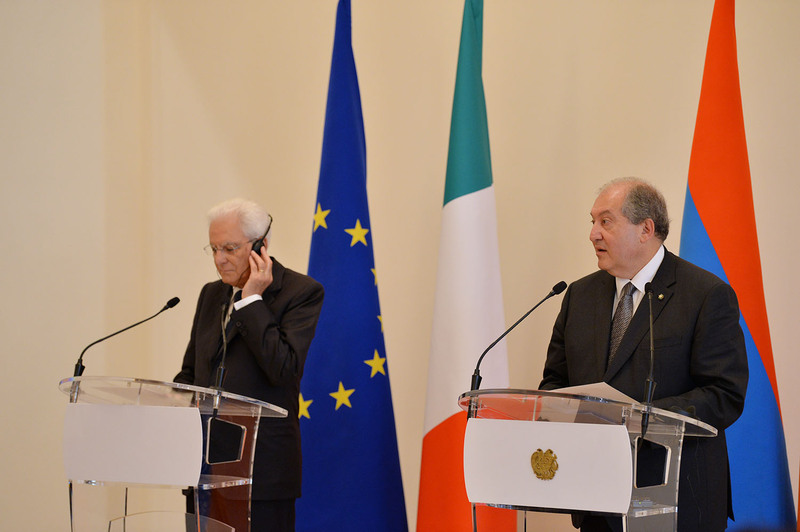 With this regard, we have expressed hope that Italy too, will ratify the Comprehensive and Enhanced Partnership Agreement soon. 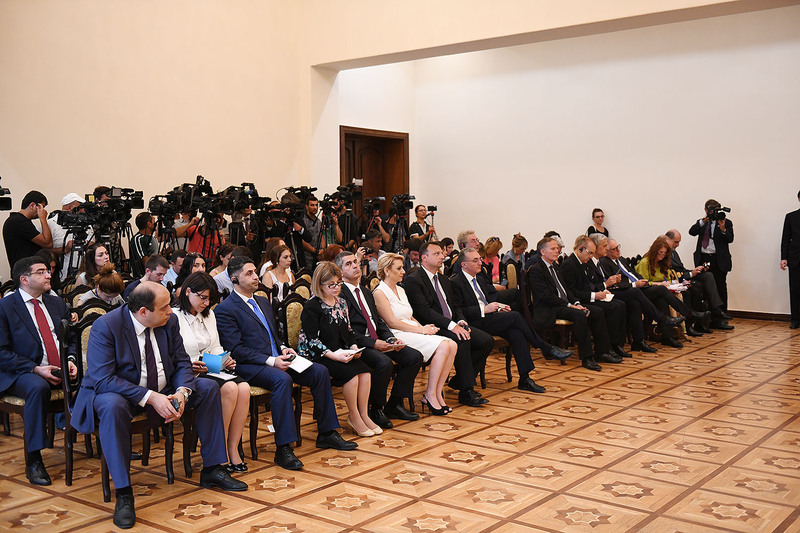 In the framework of the sustainable development of the bilateral cooperation, we have also stressed the importance of a full use of the existing legal field which comprises over three dozen documents. We have noted the necessity of expanding and deepening the economic, business, cultural, scientific and educational ties and the importance of people-to-people contacts. 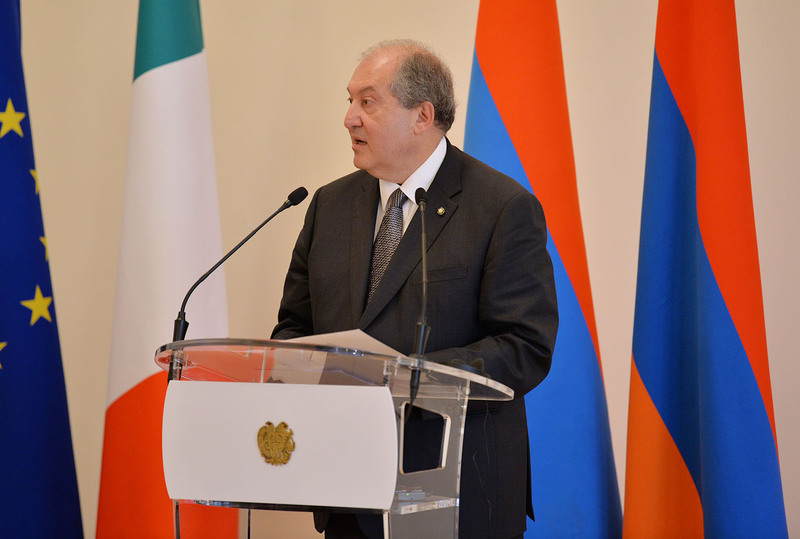 To underscore the importance of preservation of the cultural heritage, we will give a new impetus to our cooperation tomorrow when in Yerevan there will be opened the Armenian-Italian Center for the Preservation of Cultural Heritage. 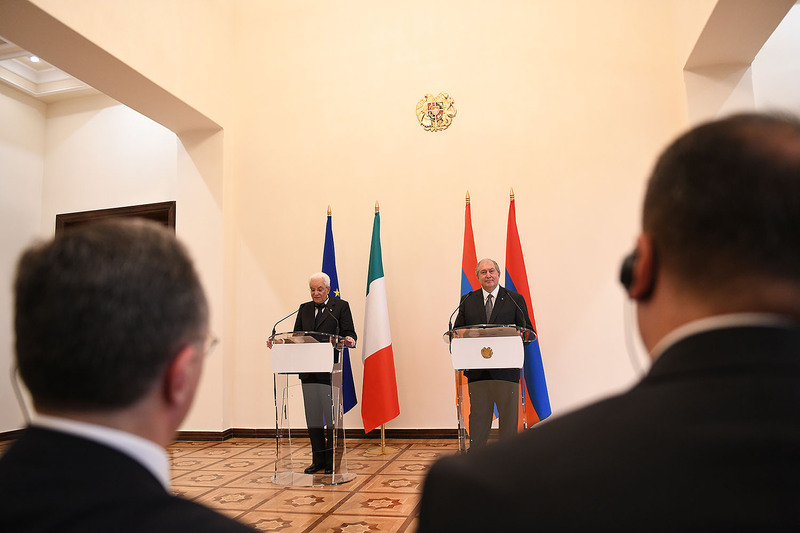 I am confident that the state visit of the Mr. President will create a solid base for the elevation of the Armenian-Italian political dialogue and multifaceted cooperation to a qualitatively new level.